Tokenization is beginning to grow more rapidly in the e-commerce space as a cheaper, safer alternative to what many businesses are currently using for customer payments. However, despite these benefits, it can be difficult to understand what is and how exactly it benefits businesses. This post will answer the most common questions you may have about tokenization and explain them simply. Whenever a customer buys something online, they need to input private and sensitive information, such as their address and credit card info. Using this information online is obviously risky, since there’s a chance it may be intercepted or stolen. However, while it needs strong security, there shouldn’t be so many safeguards that buying products online becomes too burdensome, which could turn away potential converts. Tokenization is a process that helps address this dilemma.When this sensitive information is sent out online, it changes it into a series of random characters that hide sensitive information, called a token. This way information can’t be intercepted by hackers since they won’t be able to decipher the token. In e-commerce, tokenization is mainly used to protect credit card information when buying products online. Because tokenization is a relatively simple process, it won’t turn away customers by making it too difficult to safely buy things online, even when shopping from their phones. How is This Different from the Current Method? 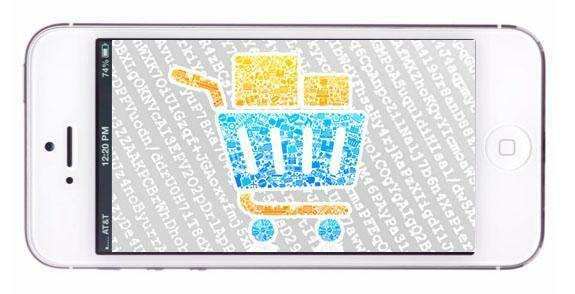 Tokenization, while growing, is still small compared to other methods of handling sensitive information in e-commerce. The most common one today is that e-commerce companies store and protect the information themselves. Here’s how this works: when you buy something from a company’s website, you send them your credit card information. When they receive it, they store and encrypt it safely in their own servers to protect it. This was good since once customers safely gave their information to the company, they wouldn’t have to again, since the company already has it! Customers can just do one-click purchases to buy new products, which is fast and convenient. The downside to this method is that businesses need to invest time and resources to store and protect their customers’ information. Hackers who can no longer intercept credit card information being sent online may instead decide to target where the company stores all their credit card information, which could contain thousands of customers credit card credentials. Protecting this information may take time and money companies don’t have. Some businesses outsource this storage to outside companies, although trusting your customers’ information to an outside third-party is considered far too risky by many. Tokenization makes it easier and safer for customers use their credit cards when buying online. Instead of encrypting and protecting a server with the passwords, having customers use tokens is faster, cheaper, and easier, without sacrificing security. Businesses can also preserve time and technology that would’ve gone towards protecting information on their own servers. The final result is a way to handle e-commerce purchases that’s both more secure and easier. Tokenization is still relatively new, with several companies letting businesses outsource their tokenization appearing in the last few years. This newness also means there aren’t any businesses who have had long-term success with it yet, which makes it harder to measure how effective it really is yet. There are many people who simply don’t feel comfortable with tokenization yet, especially those who aren’t comfortable outsourcing it to a third-party company. While it isn’t as risky as outsourcing the storage of credit card information, it’s still harder for businesses to control the security of their customers’ information. Are there Standards for Using Tokenization? Yes there are! A few months ago Visa, MasterCard, and EuroPay published 85 pages of standards that companies using tokenization should abide by. While it likely isn’t perfect, having a set of standards is a step towards tokenization being taken more seriously as a new e-commerce technology, as well as helping to improve how it’s used everywhere. Should You Worry About Tokenization? If you’re not concerned about how tokenization will affect your business now, you most likely will be in the future. This has the potential to be a major e-commerce game-changer, and e-commerce businesses will need to update their sites and technology as the technology evolves. Otherwise, instead of it becoming a new advantage for your business, it could be a downfall. Other businesses that move to tokenization may wind up disrupting the market and pulling away potential customers. Keep an eye out as tokenization keeps growing, because businesses that don’t grow with it may very well become eclipsed by it.